A client wanted custom side gates built for their Art Deco home that would match the style of the original front gates on their property. The side of the house where the side gates were required was a little wider than normal which would make a single gate too large. Centre opening double side gates were suggested which would have a more pleasing aesthetic. 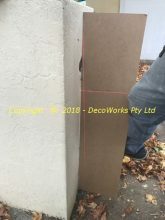 The fence on the side of the house was too flimsy to support a gate so a 100mm square steel pillar needed to be installed to support one side. 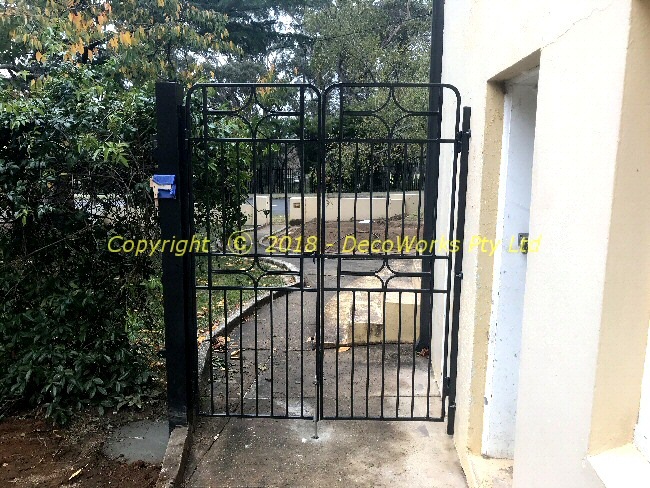 Using the original front gates (which we had just restored) as a guide, a suitable design for the side gates was developed which captured the look we were after. The installation was very straight forward but the house was cement rendered and there was no way of knowing if you were drilling into bricks or mortar so dynabolts would be a bit dicey. 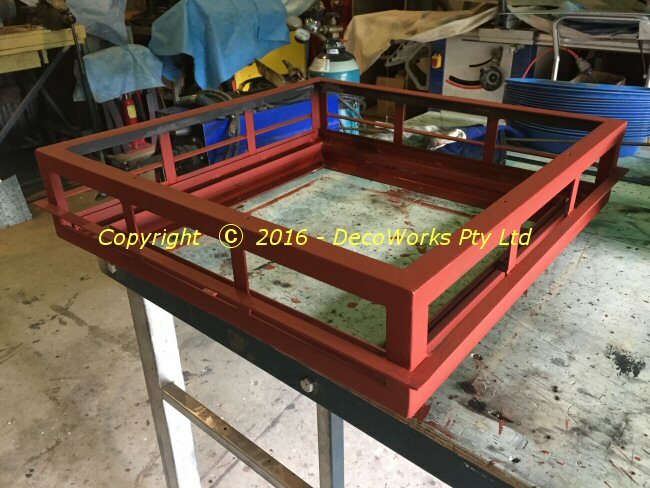 Instead it was decided to use Chemset studs which provided a much more secure anchor without putting undue stress on the brickwork. 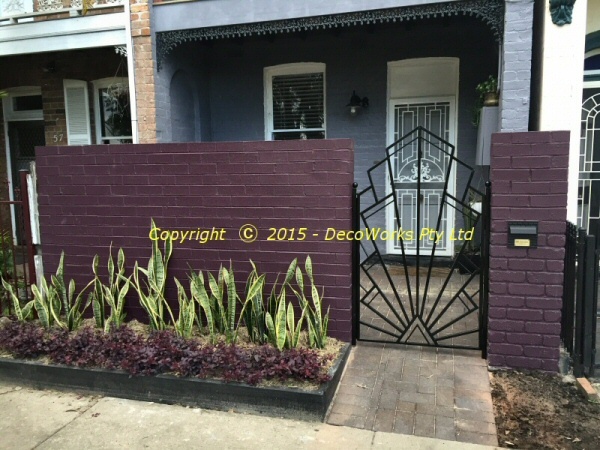 The installation of the custom side gates has made a nice addition to the overall look of the property. 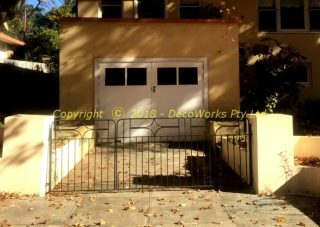 The owner of this Art Deco home wanted to keep the original front gates so decided on a front gate restoration to bring them back to their original condition. This was easier said than done. 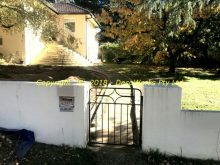 Over the years a large Japanese maple tree had pushed one of the driveway gate supports out of square making the front gate impossible to close. 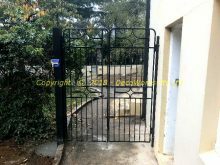 In fact the front gates had been left open in a deteriorated state for decades. 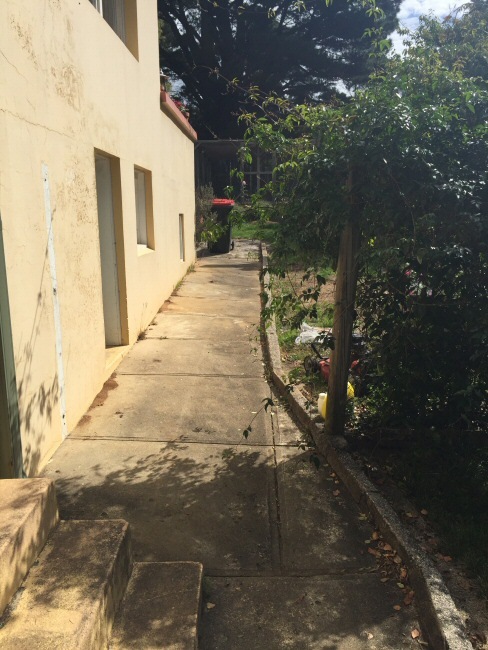 We were approached to see if anything could be done to rectify the situation. A small pedestrian gate further along the wall had also fallen victim to the same fate with tree roots moving the brick fence over the years so the gate would not even fit between their supports anymore. 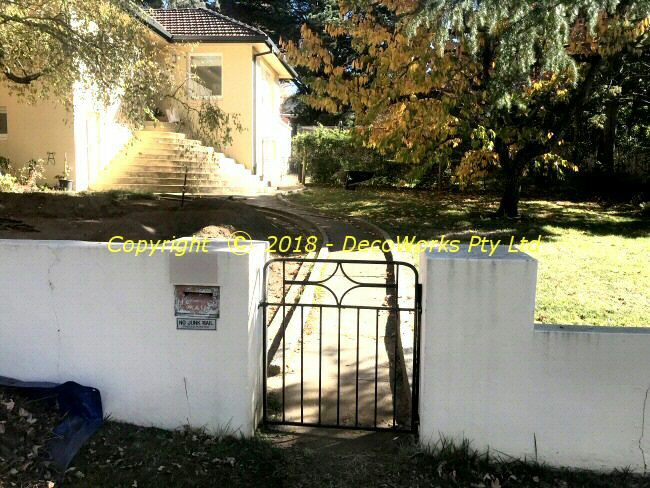 The client did not want to demolish and rebuild the fence but wanted to retain the original front gates as much as possible. The first thing was to remove the gates and return them to the workshop. Firstly they were sent to be sand blasted to remove the old paint and corrosion. Careful measurements were made of the front gate supports to determine how they could be re-hinged. 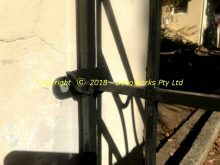 The existing hinges and latches were severely corroded and could not be used so a new hinge and latch arrangement had to be devised. 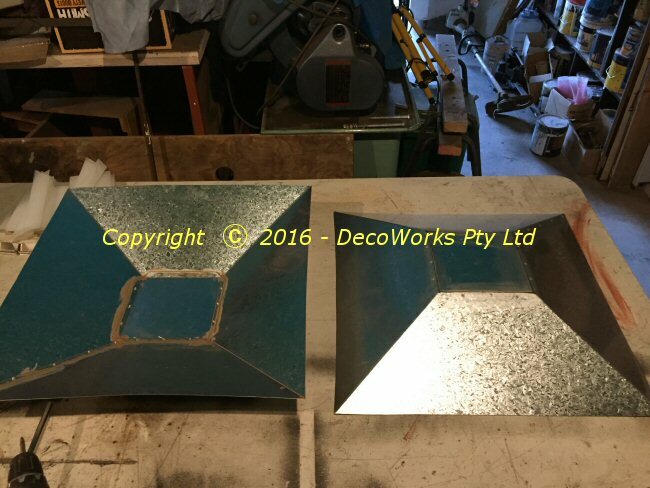 With the new hinge arrangement the driveway gates had to be cut down approximately 100mm to fit between the support pillars. 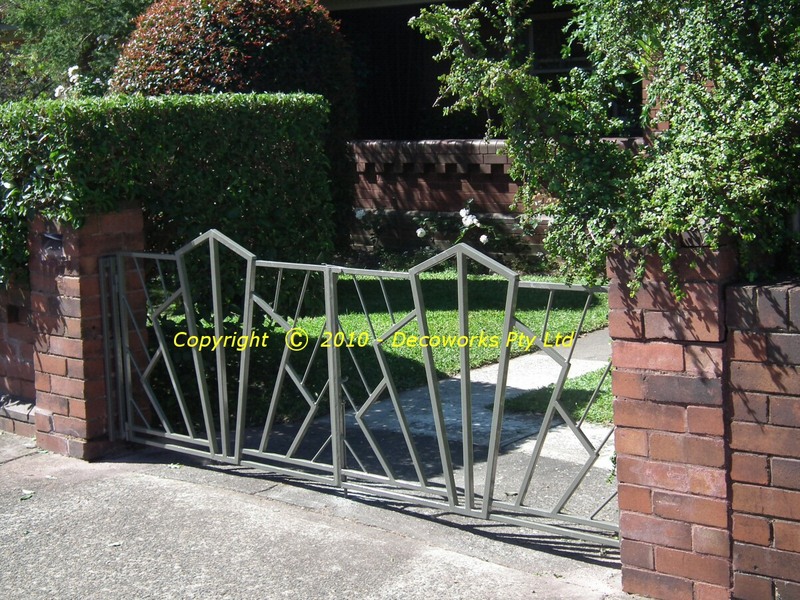 By cutting 50mm off the hinged side of each gate their symmetry was retained without detracting from their appearance. 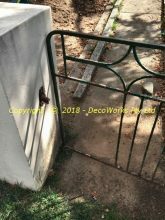 Once the lean of the gate pillars had been determined a compensating hinge arrangement was built so the gates would all hang square once again. 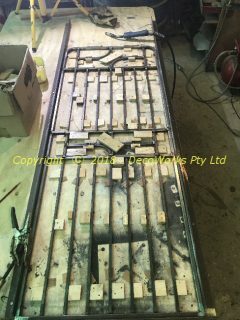 The pedestrian gate also had to be cut down about 50-60mm as well and missing parts replaced. A new hinge and latch arrangement was devised for it as well. It proved impossible to find a suitable gate latch. 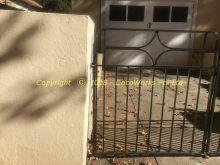 The original latches and hinges were no longer available and most gates nowadays fit to the edge of a pillar, not the middle. A new latch setup was built which worked very well without being too obtrusive. 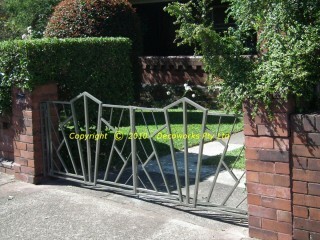 The client also wanted some side gates built for the house using the same design as the existing front gates. 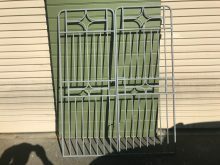 These are described in another post. A recent project required the design of a pair of custom Japanese style Pillar lights for the entrance to a rural estate. 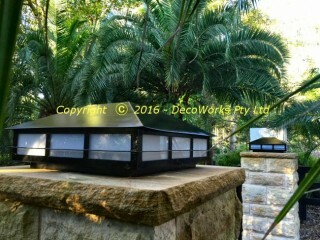 Commercially available pillar lights were too small as the sandstone pillars were over two metres high and 800mm square. To simplify constructing a complete electrical fitting (which includes electrical safety standards compliance and rating) a commercial fitting was selected which was of a suitable style and construction that could be adapted to a larger fitting. 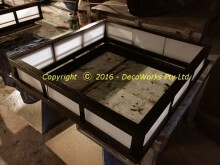 The new Japanese style pillar lights are essentially a lampshade that fits around the commercial fitting. The base section is fastened to the sandstone top of the pillar around the commercial fitting. 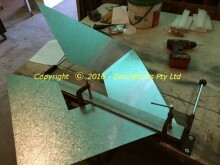 The lightweight metal roof section is attached to the top of the metal frame of the commercial fitting which has had its glass shade removed. 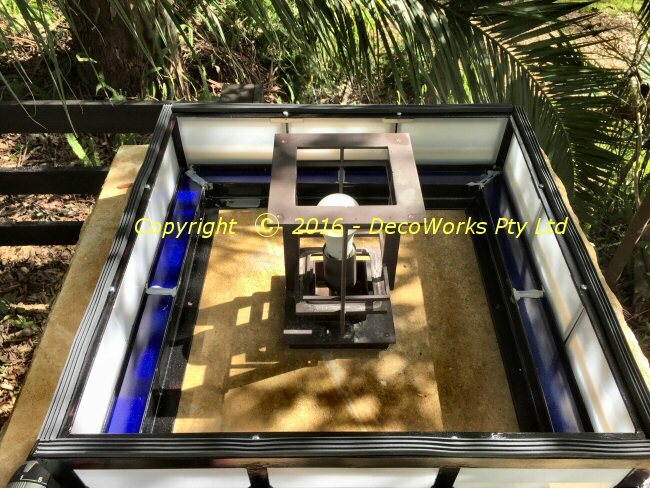 Below details the steps in building the fitting. This Plaza style Art Deco front gate makes a stylish entrance into the new front courtyard of this terrace house. 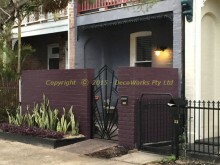 In collaboration with the client the standard Plaza design was adjusted to suit the new front courtyard wall which replaced the old fence of the terrace house. 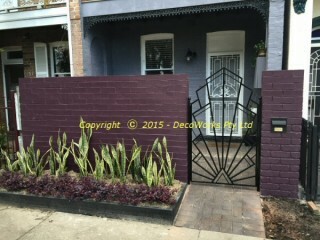 The addition of the garden bed along the front of the wall helps create an attractive overall design to the new wall. This is a recent installation of the DecoWorks “Plaza” style Art Deco gates on the front driveway of a suburban Sydney home. 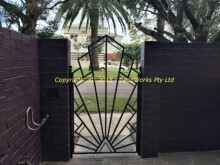 The Art Deco gates were made to replace the original driveway gates of which the owner had grown bored. 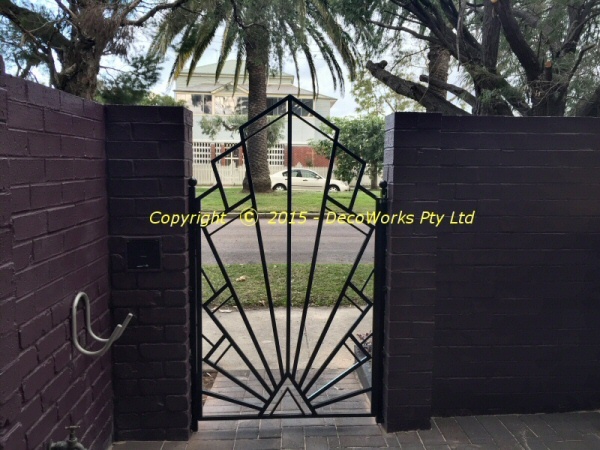 The design for the Art Deco gates was developed in collaboration with the owner from the DecoWorks “Plaza” style front security door that had recently been installed on the premises. 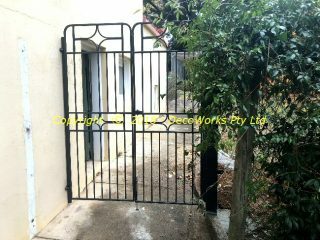 The gates were made of steel and are robust in construction. The “Plaza” design can be easily adapted to doors and windows. 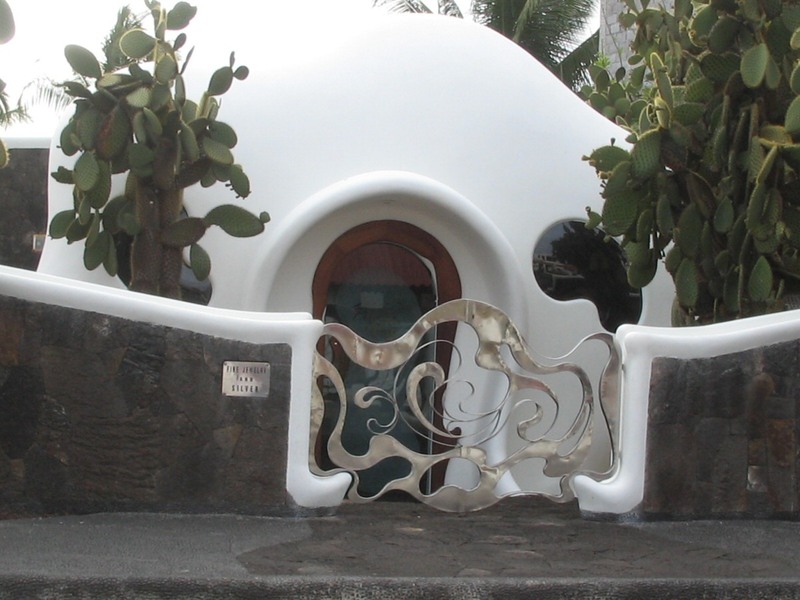 The design adds beauty and elegance to the entrance of any home. 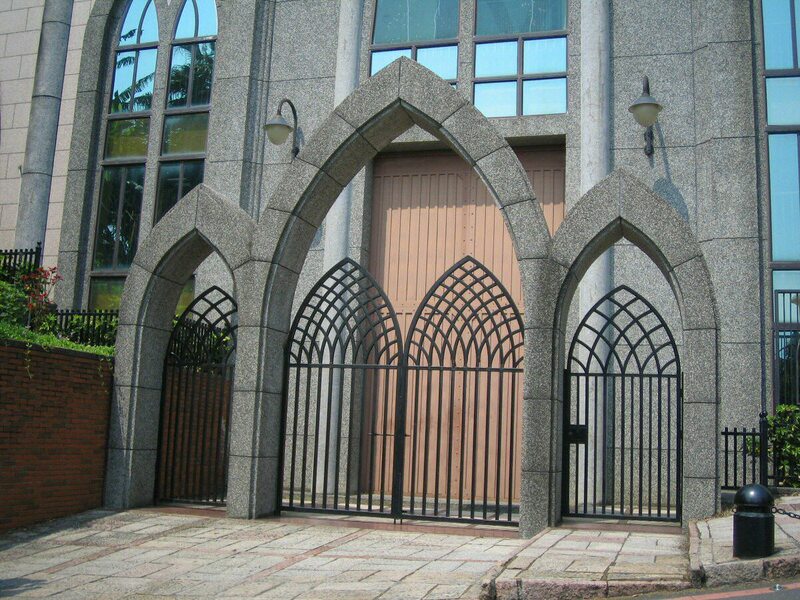 Walking up the entrance road to Aletheia University in Danshui in the north of Taiwan I discovered these great steel gates. 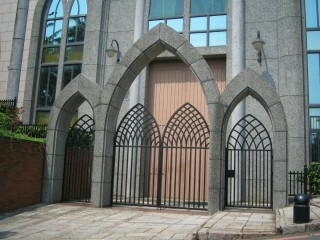 The steel gates are the back entrance to the Grand Chapel on the university campus which was built in 1997. The Chapel has since become the landmark of the university campus. A lot of work has gone into integrating the gate design into the shape of the arches. 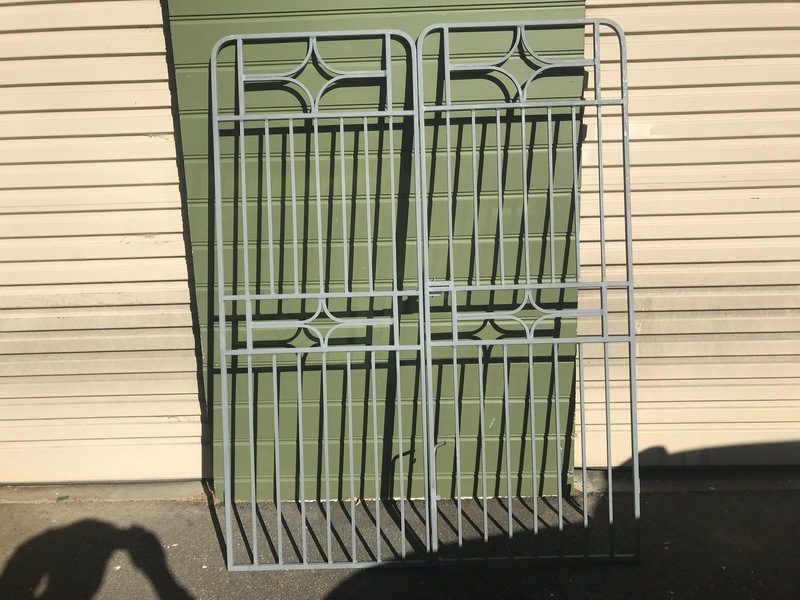 The intersecting semi-circles at the top of the gates match perfectly with each other. 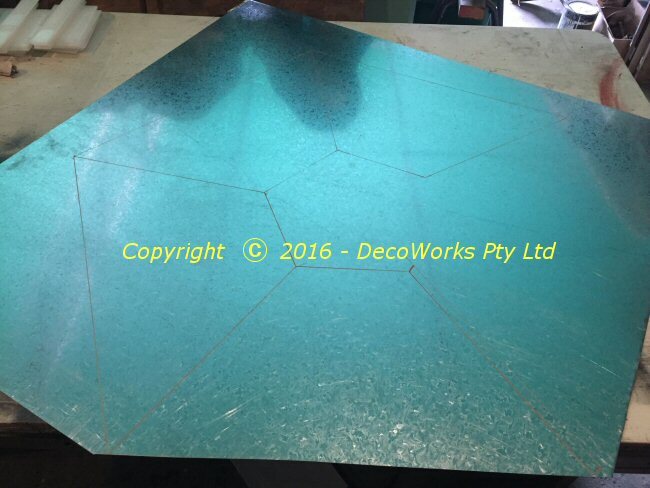 They also reflect the sacred aspect of the building in the traditional Gothic arch shape. 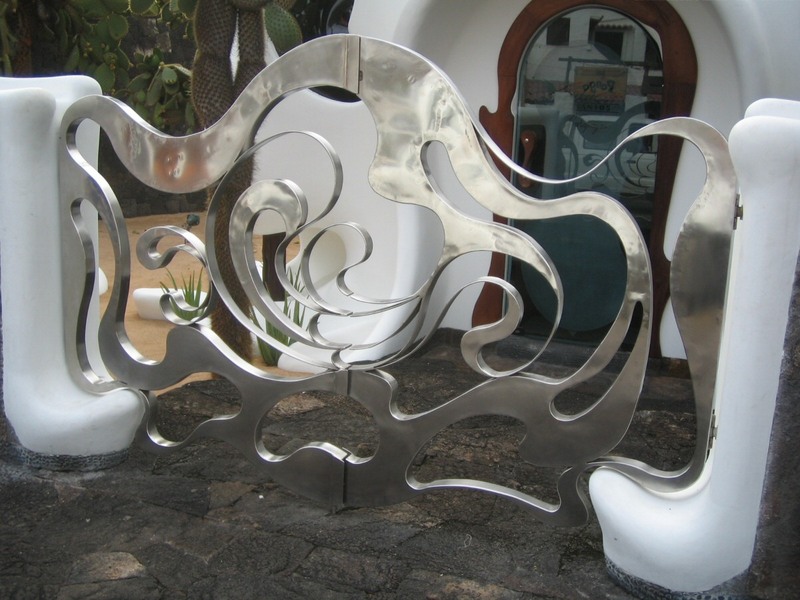 In Puerto Ayora on Santa Cruz, an island in the Galapagos group, you cannot miss the silver Art Nouveau gates at the entrance to a white stucco fine jewelry shop on the left of the road on the way to the Charles Darwin Research Station. 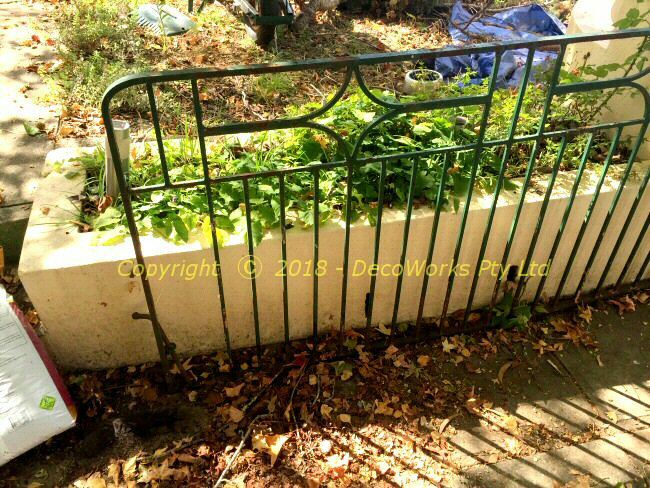 The Art Nouveau gate is of particular interest. 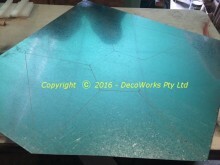 It is obvious that a lot of work has gone into its design and fabrication. 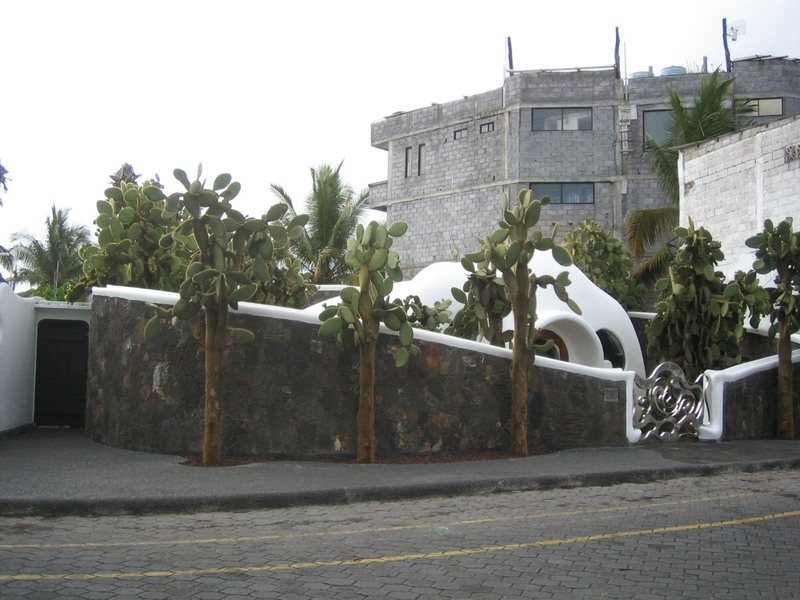 It is something you do not expect to see on an island in the middle of the Pacific Ocean!